According to an ancient legend, the island of Mykonos was formed from a rock thrown by Poseidon, god of the sea, during a battle with some giants. Poseidon was victorious and the vanquished giants were finally laid to rest. Rocky outcrops around the island mark their graves. 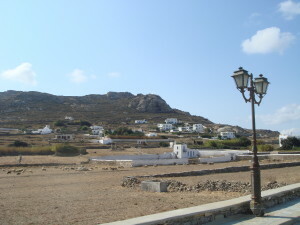 The island took its name from Mykonos, son of Anios who was also the grandson of the god Apollo and the nymph Rhoe. 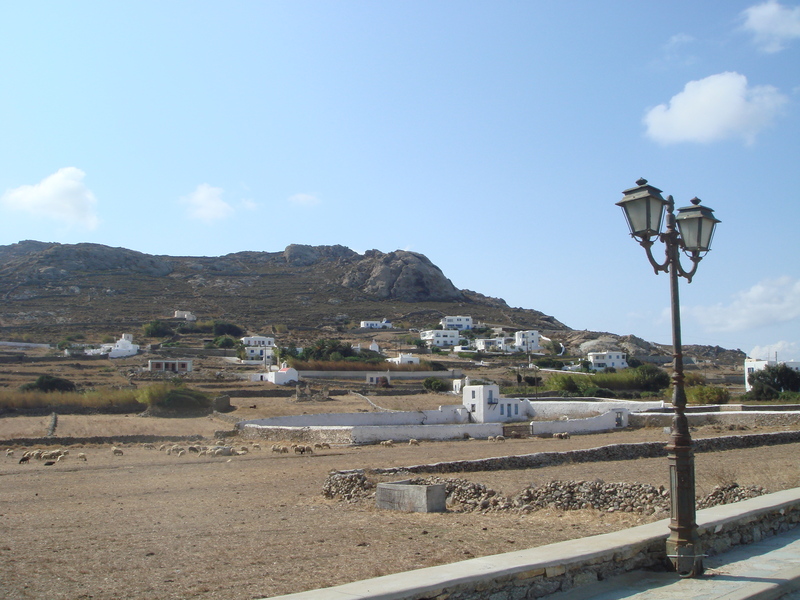 The discovery of Neolithic settlement in Mavrospalia places the first humans on Mykonos in 3000BC. In the 11th century BC, the Ionians settled here, leaving coins stamped with their favourite deity, Dionysos, god of wine and celebrations, so it seems entirely fitting that it is should evolve into one of the world’s most popular party places. Around 500BC, Mykonos was embroiled in the historic battle of Salamis between Persia and Greece. Mykonos fought on the Persian side. Why? Because they felt slighted by the fact that the name of Mykonos was not mentioned in the thanksgiving tripod presented to the Delphic Oracle by the rest of the Greek States. When Persia was defeated, Mykonos became a colony of the state of Athens. Its citizens were forced to pay heavy taxes and endured a long period of hardship. The island’s fortunes of Mykonos changed when Alexander the Great swept into Greece in 336 BC. Mykonos grew rich exporting grain, agricultural products and high quality clay to support and sustain his campaign to conquer the world. In 146 BC the Romans marched into Greece. They constructed cities and ports and Mykonos, a valuable outpost in the Mediterranean, grew truly wealthy.